Today, people spend too much of their day on tedious tasks at work, like managing their calendars, dialing in to meetings, or searching for information. But Amazon Alexa can help solve this problem by acting as an intelligent assistant at work. Alexa lets people use their voice to interact with technology so they can spontaneously ask questions in a way that feels natural. Alexa can help people take care of these tasks just by asking. Alexa can help people stay organized and focused on the things that matter, whether they are working in their office or at home. Alexa can simplify conference rooms, allowing meeting attendees to start meetings and control the equipment in the room by simply using their voice. Alexa can also do things around the workplace, like providing directions to a conference room, notifying IT about a broken printer, or placing an order for office supplies. Alexa lets you be more productive throughout your day and stay focused on important tasks. Alexa can help you manage your schedule, keep track of your to-do list, and set reminders. Alexa can automatically dial into your conference calls and make phone calls for you. Alexa can help quickly find information for you, like the latest sales data, or the inventory levels in your warehouse. Alexa lets you start meetings and control your conference room settings using your voice. With Alexa, you don’t need to use remote controls, look up conference call information, and manually dial in to meetings – you can simply say “Alexa, start my meeting”, and Alexa gets your meeting started. Alexa-enabled devices can act as audio conferencing devices in smaller conference rooms, or control equipment in larger rooms. Alexa helps your workplace run more efficiently. By building your own custom Alexa Skills, you can easily voice-enable your workplace, and let Alexa help with common everyday tasks. Using your custom Alexa Skills, Alexa can provide directions, find an open meeting room, order new supplies, report building problems, or notify IT of an equipment issue. Alexa can also provide important information, like inventory levels, and help with on-the-job training. Alexa lets you add voice to your products and services so you can provide rich, personalized voice experiences for your customers. Alexa can help hotel guests feel comfortable, play their favorite music, and even order room service. Alexa can provide customers with valuable information about your product, and provide support when they run into problems. With Alexa, you can redefine the way your customers interact with your products and services. Alexa for Business makes it easy for you to use Alexa in your organization. Alexa for Business gives you the tools you need to manage Alexa-enabled devices, enroll your users, and assign skills at scale. You can build your own custom voice skills using the Alexa Skills Kit and the Alexa for Business APIs, and you can make these available as private skills for your organization. With Alexa for Business, you can provide shared Alexa devices for anyone to use in common areas around your workplace, and personal Alexa devices for your employees to use. Shared devices allow Alexa to simplify conference rooms, and help around the office, and anyone can access them. Personal devices let Alexa help users be more productive throughout their day, at work or at home. Alexa for Business allows you to provision and manage Alexa devices in your organization from a centralized console. With Alexa for Business, you can easily provision multiple Alexa devices at the same time, and automatically connect them to your Alexa for Business account. You can specify device locations, enable a set of skills that can be used, and prevent users from tampering with them. This saves time because you don’t need to manage these devices individually. Alexa for Business makes it easy for you to configure Alexa to control your conference rooms. Alexa for Business lets you specify the type of conferencing equipment you use and your preferred meeting applications, which allows Alexa to start most meetings, on most devices, in any room. You can use Alexa devices as audio conferencing devices in small conference rooms, or to control equipment in larger rooms. Alexa for Business is an open service, and the Alexa for Business APIs allow you to build skills so that Alexa can work with additional equipment or perform specific tasks in your conference rooms. Alexa for Business allows you to invite your end users to enroll their personal Alexa account with your Alexa for Business account. 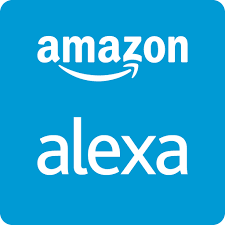 This lets them continue to use the Alexa features and skills they’ve already enabled in their personal Alexa account, as well as the work skills you provide, on any of their devices, at work or at home. Alexa for Business gives you the ability to make work skills available and provide access to your corporate calendar system so that they can use Alexa to manage their calendar. Alexa for Business lets you build your own private custom skills for your workplace, your employees, or your customers to use. You can make these skills available only to your shared Alexa devices, and your enrolled users. Alexa for Business provides an additional set of APIs that provide information about device location, which lets you add context to your skills. For example, you could build a skill that lets a user report a printer problem to IT, and the skill could use the device location so that IT knows which printer is broken. Building custom skills is easy, and the Alexa Skills Kit provides tools, documentation, and code samples to help you get started.